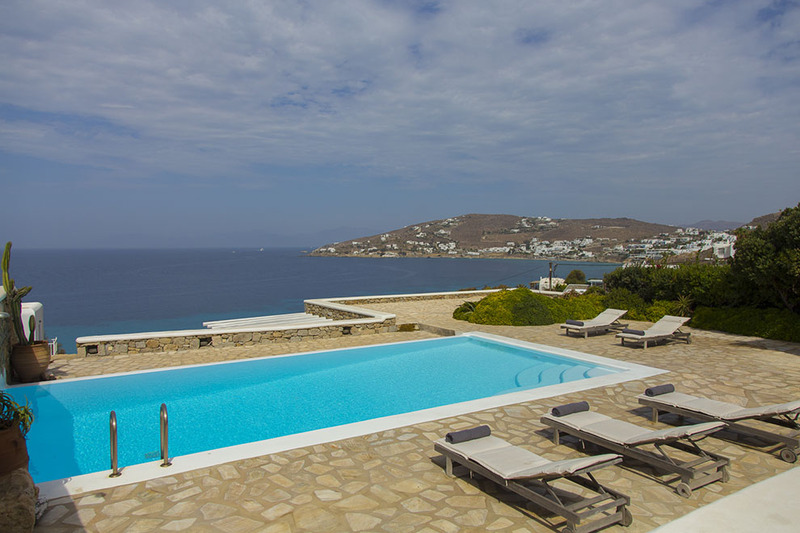 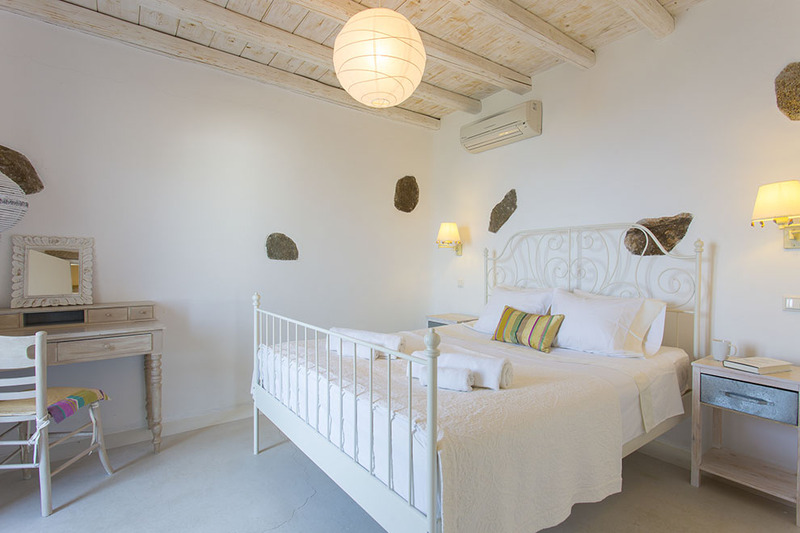 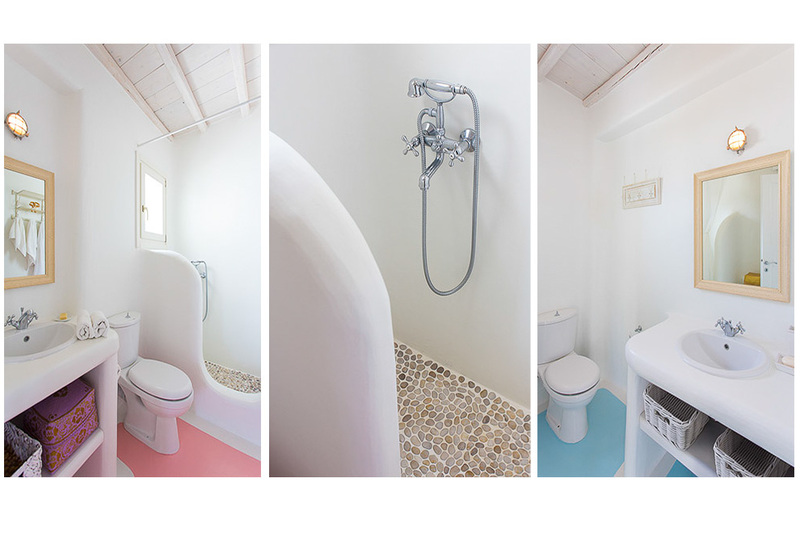 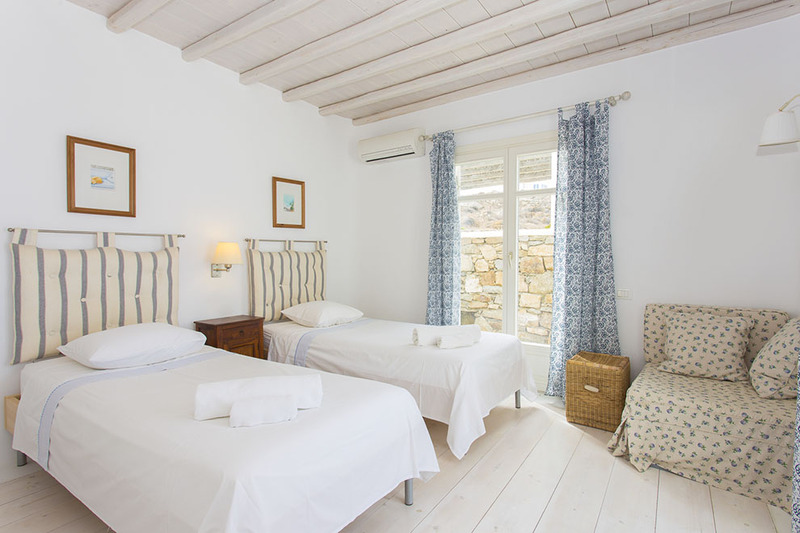 The exuberant villa Sun Shine One stands on a privileged location in the famous area of Saint John in the south-west side of Mykonos island, offering breathtaking view to the beautiful Saint John and magical views to the endless Aegean sea and the ancient island of Delos. 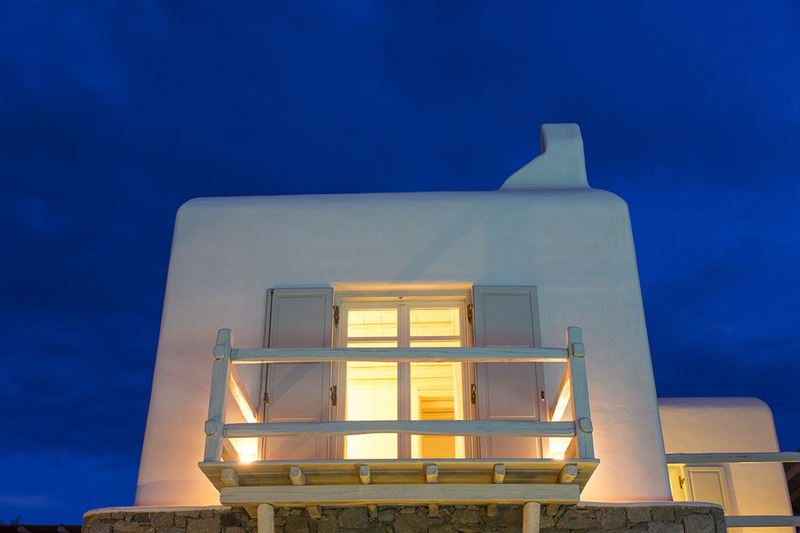 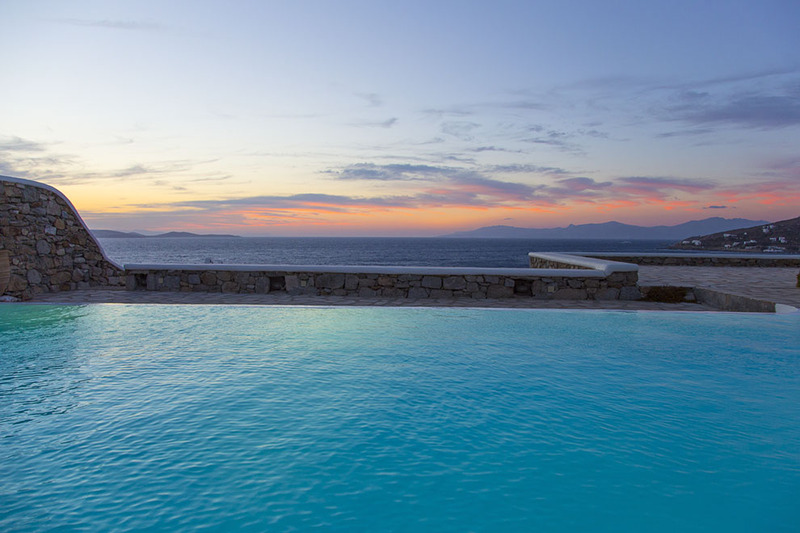 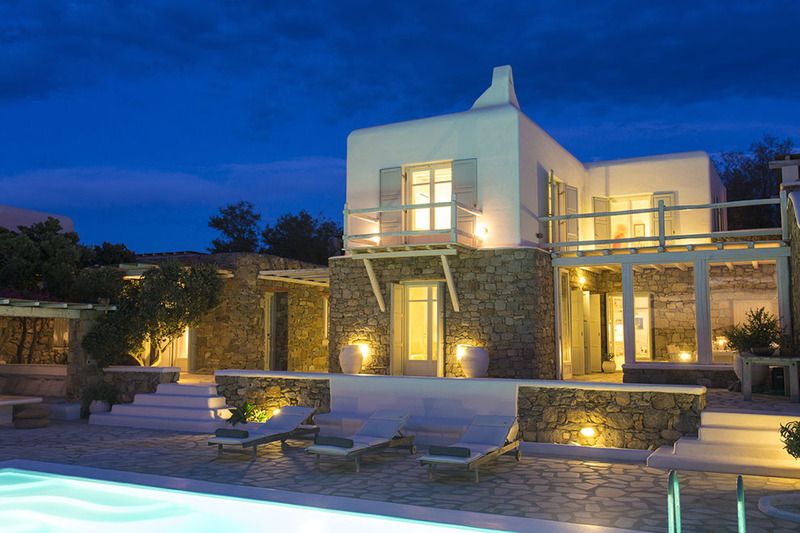 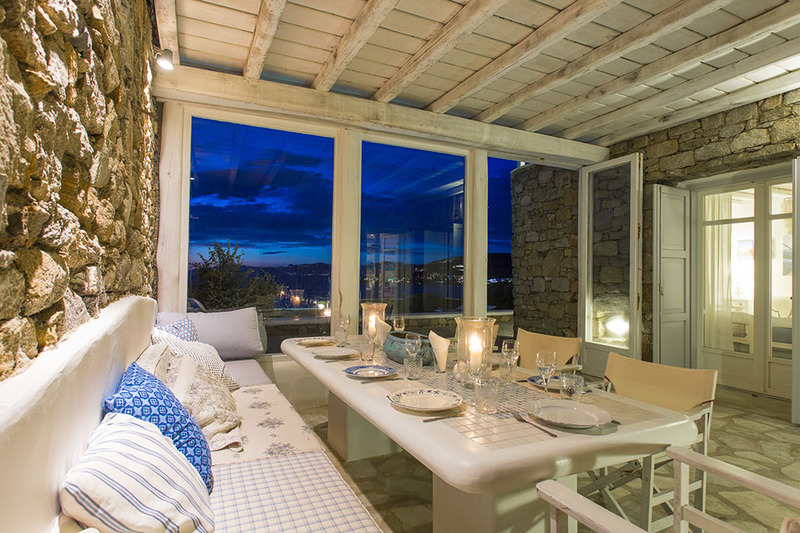 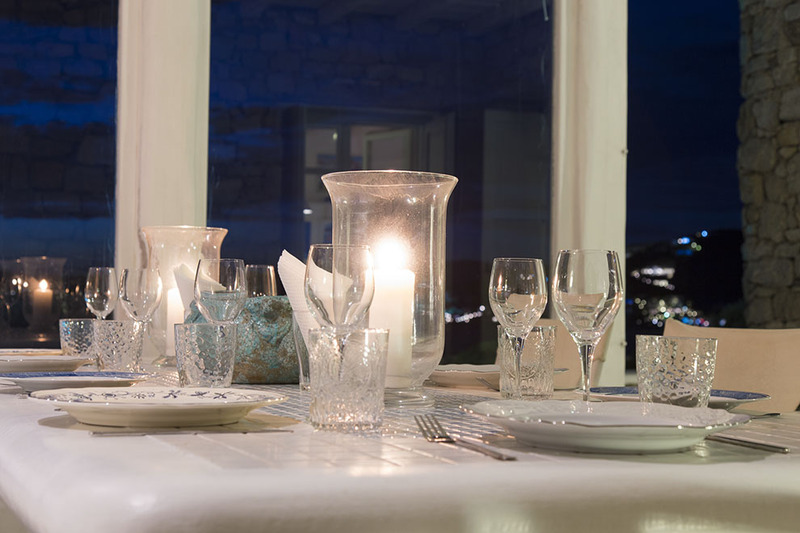 Also, romantic sunsets can be shown from the unique outdoors of this amazing Mykonos villa. 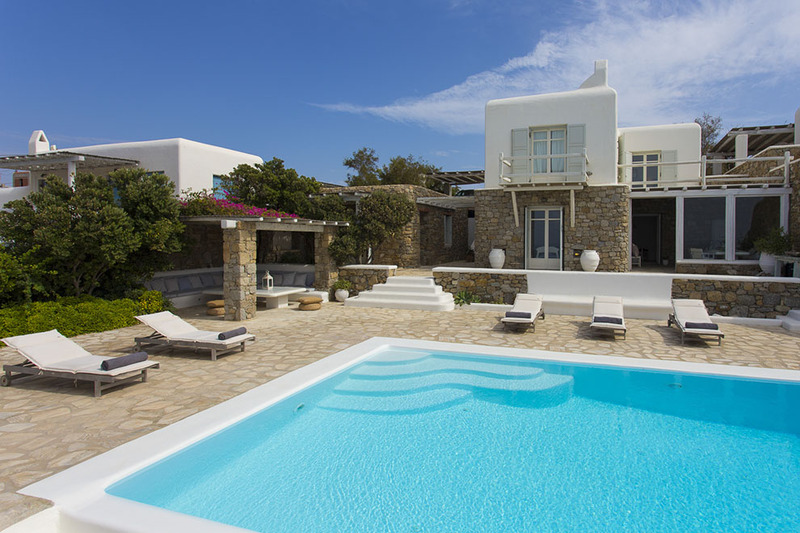 The exterior of the villa is spacious, perfectly designed and well-combined with the picturesque landscape. 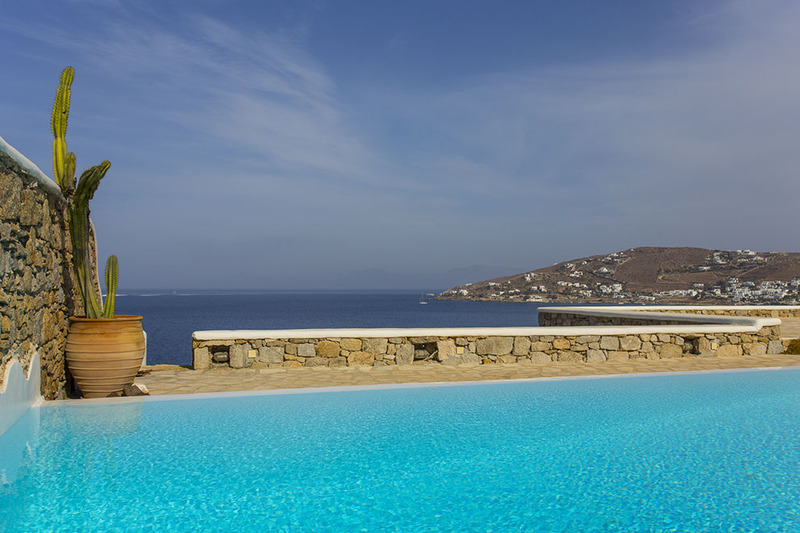 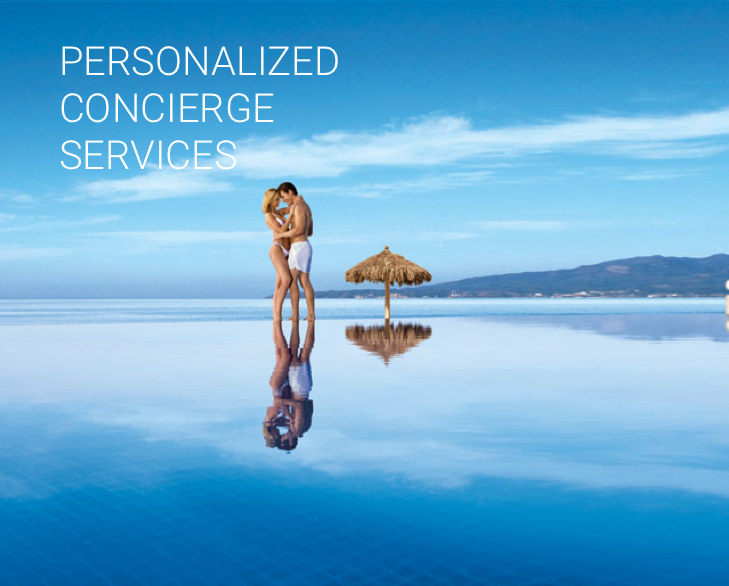 Relax at the sun beds around the huge private swimming pool, enjoy the Mykonian sun, listen the serene sounds of the sea that will calm your senses and feel the energy of the place. 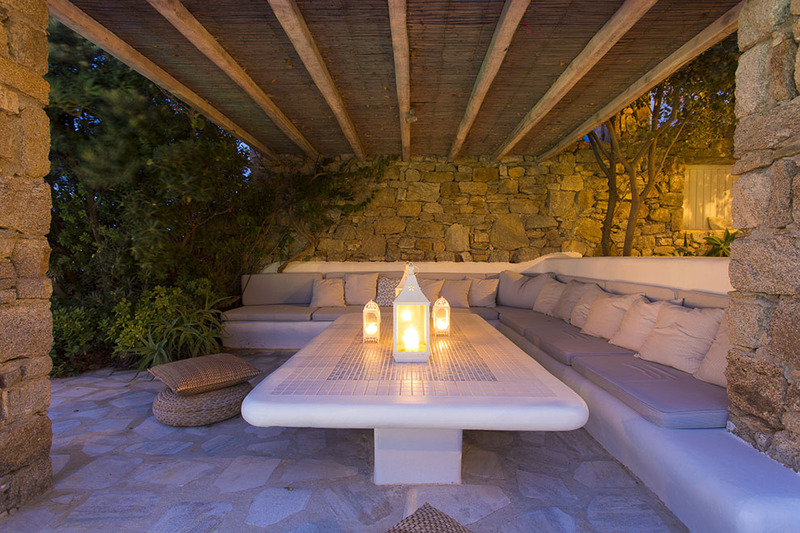 The numerous comfortable seating areas create a relaxing environment and promise dreamy days and nights. 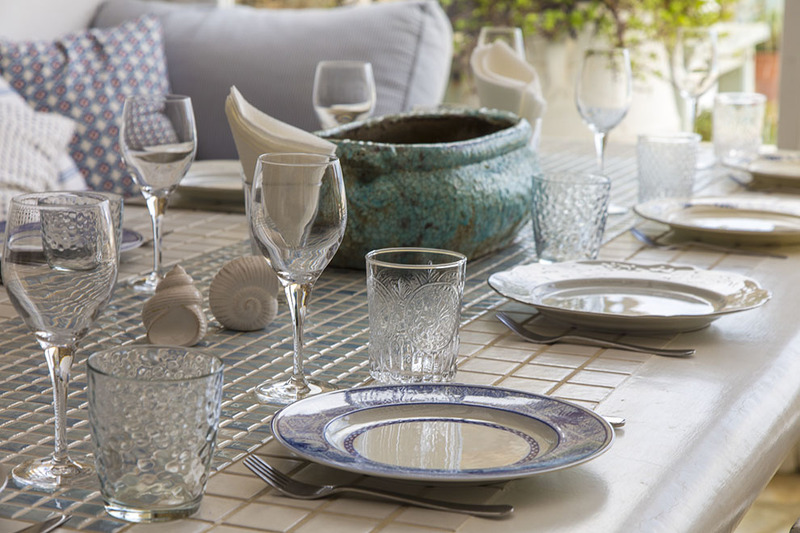 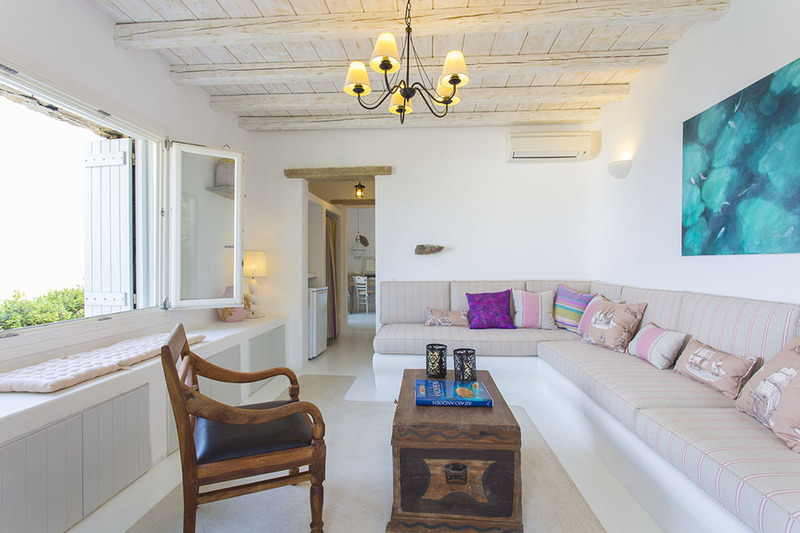 Inside, guests will be surprised by the comfy corners and the classy minimalistic design. 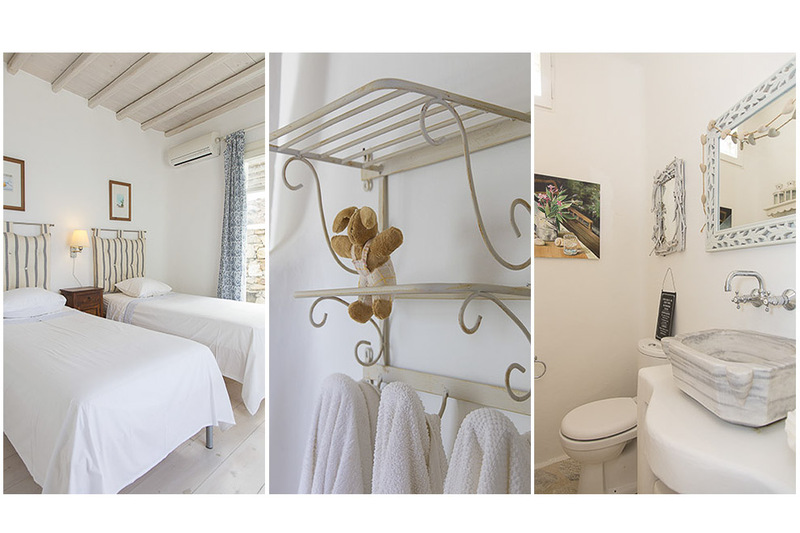 There is an elegant atmosphere all around created by the tasteful decorated living room, as well as the en-suite spacious bedrooms. 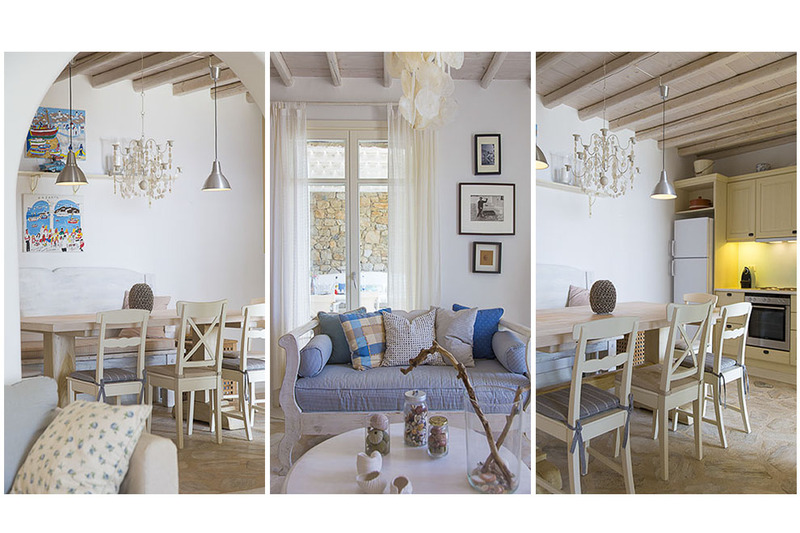 The while color dominates all the spaces inside, providing an airy and fresh atmosphere. 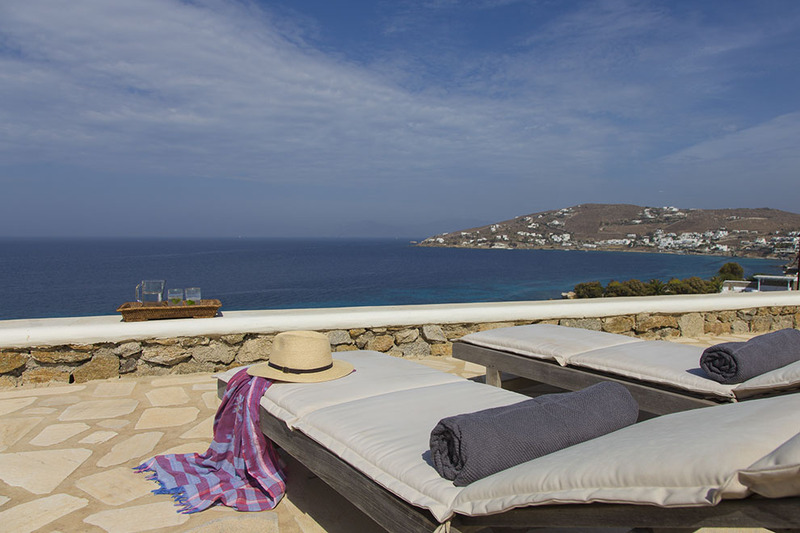 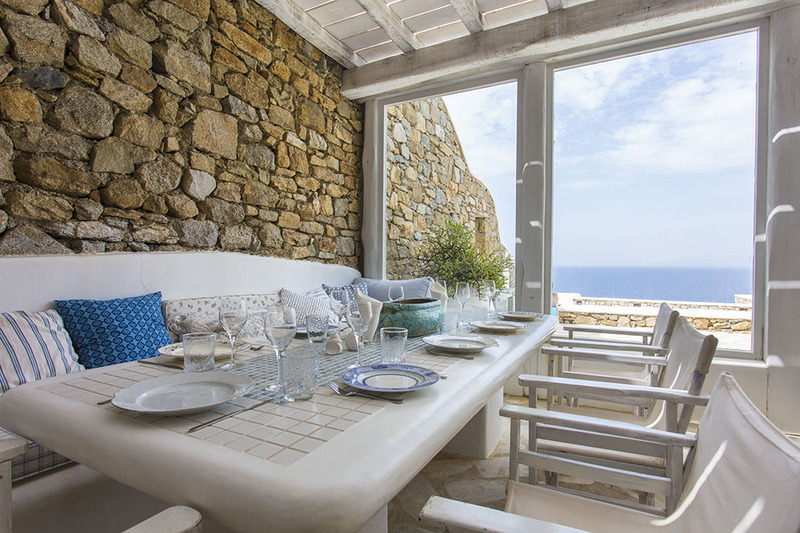 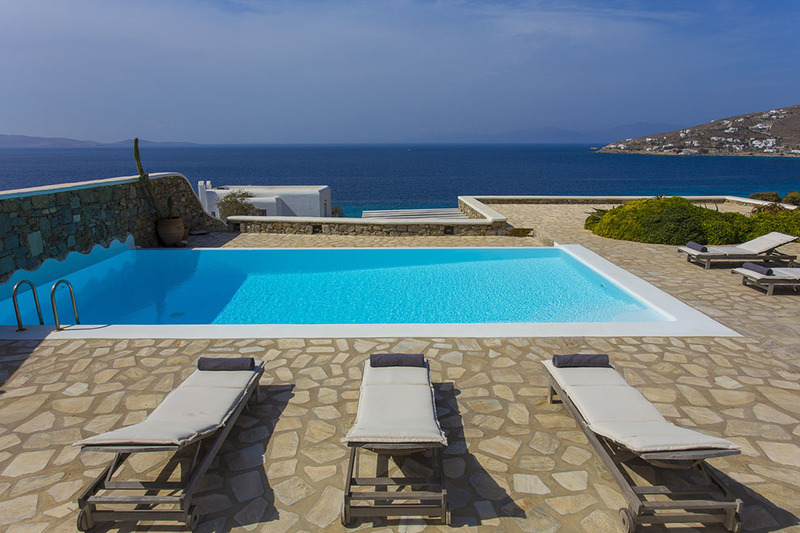 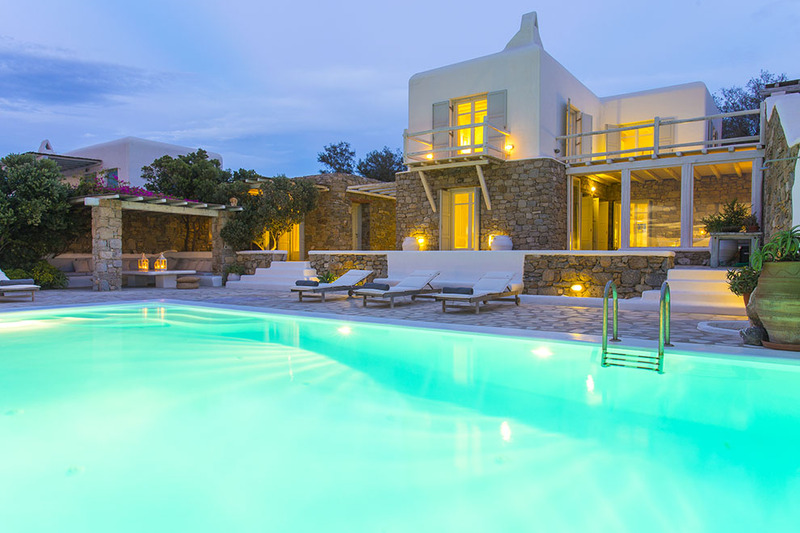 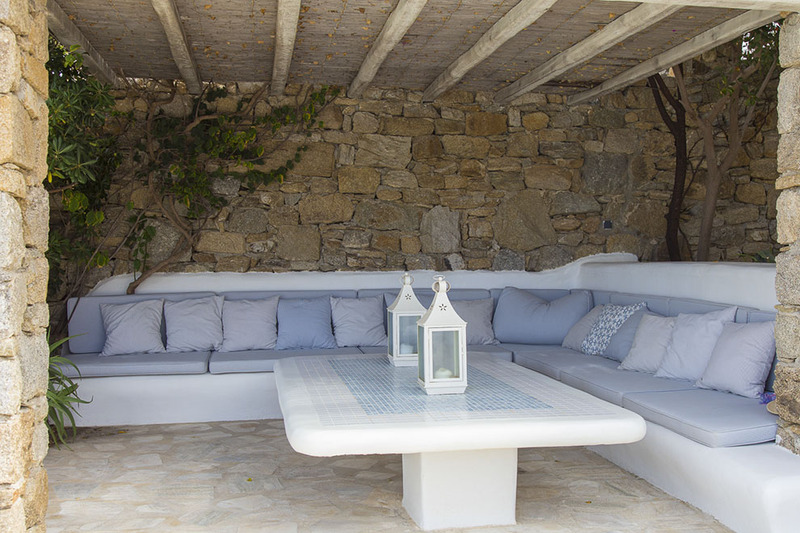 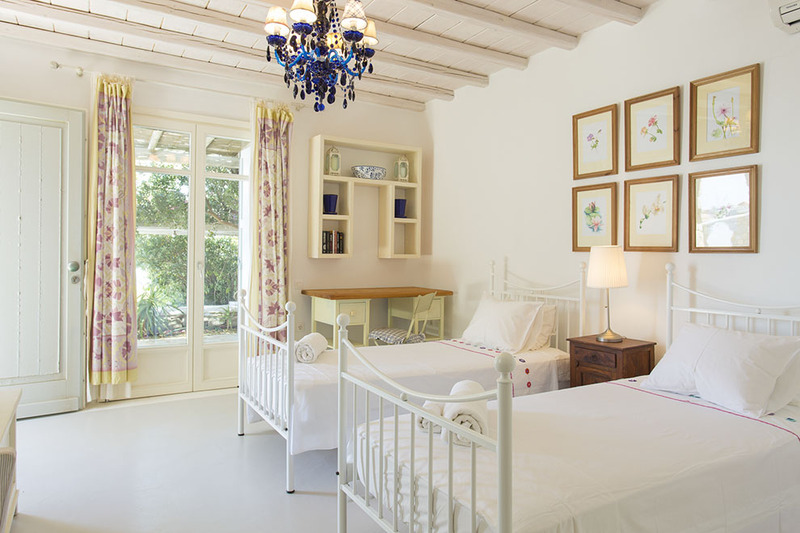 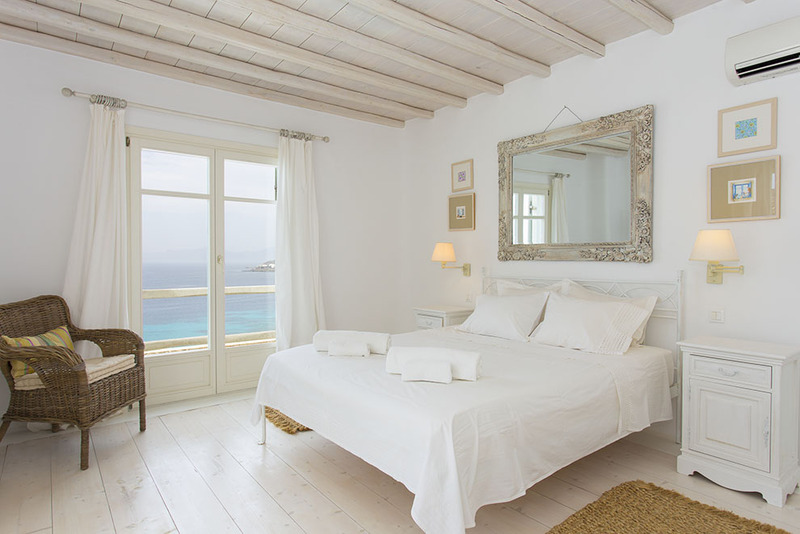 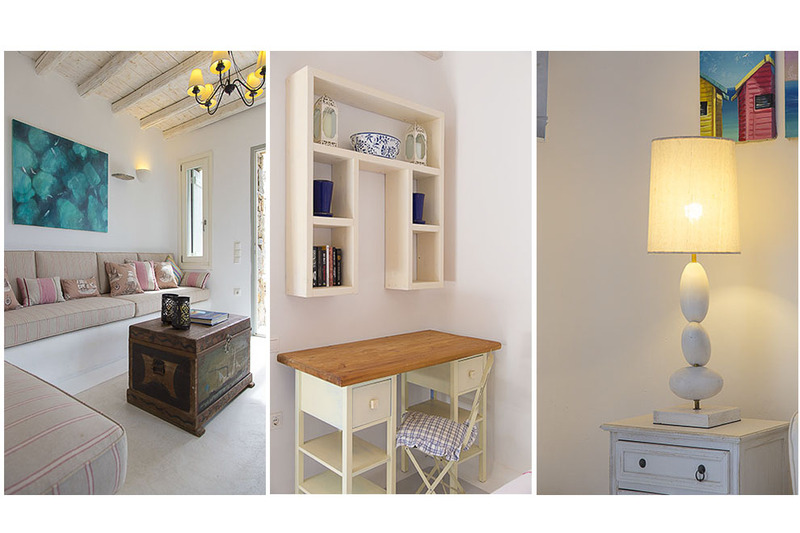 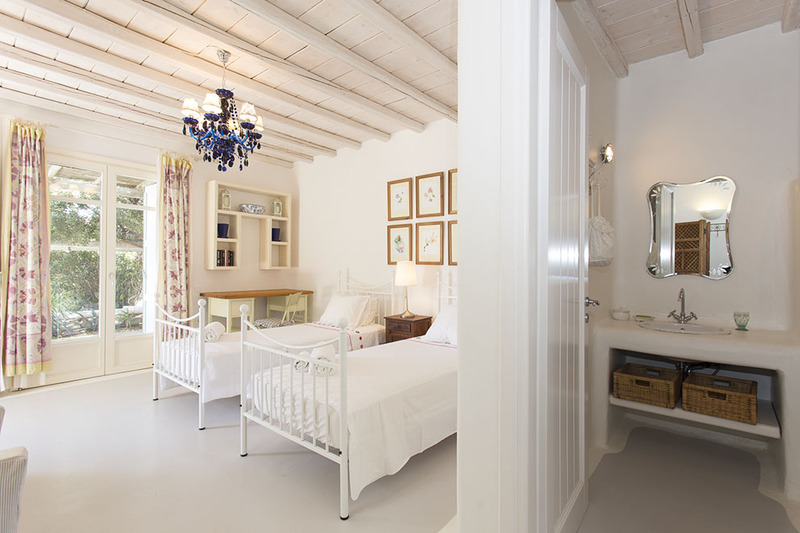 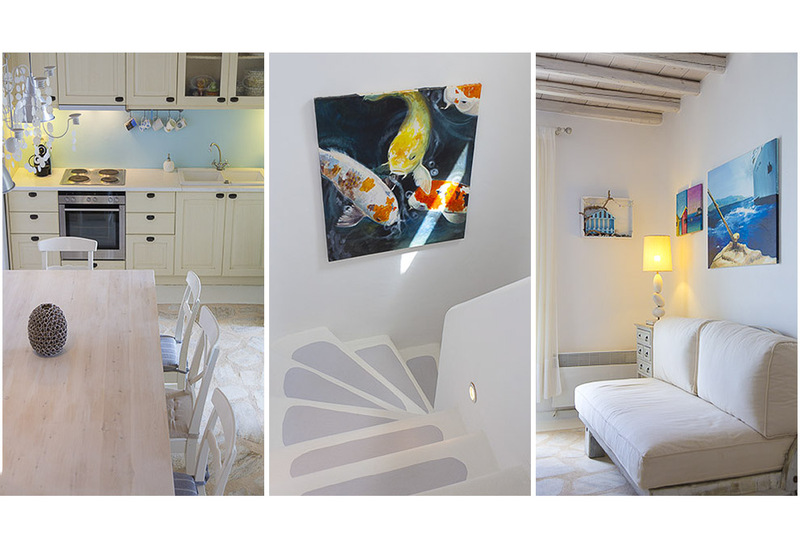 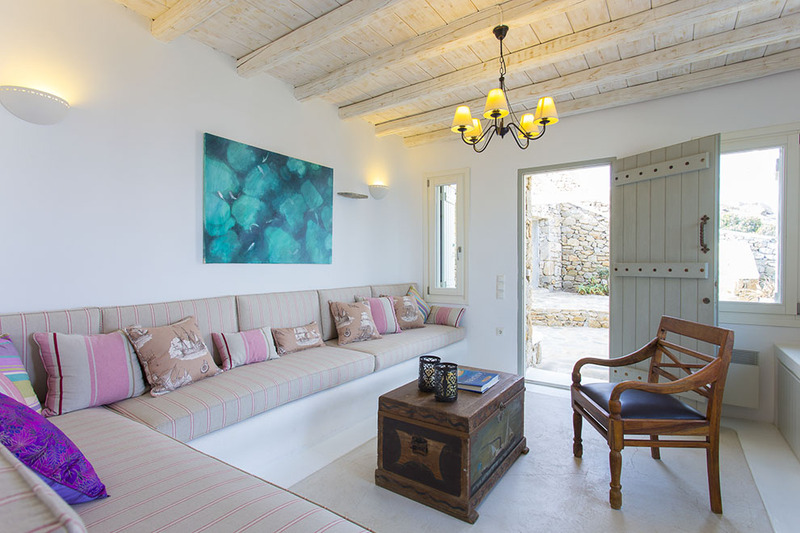 Villa Sun Shine One is considered a stunning retreat in Mykonos and offers to the guests an unforgettable holidays by watching amazing sunsets and the relaxing blue colors of the Aegean sea in an extravagant environment.